The rematch of the NFC championship game will be played on the second Sunday night of the season when the Seahawks visit the legendary Lambeau Field. The Packers will try to avenge the defeat of last year when they blew a lead in the fourth quarter and lost in overtime, falling one step from the Super Bowl. Both teams enter this year as the favorite to represent the NFC in Levi’s Stadium on February 7th. The Cheeseheads have the advantage in the series with 10 wins in eight games, but have lost the last three. The team led by Mike McCarthy has a slight edge in the NFL betting Odds rated -1.0 to win this game. The good news is that they have not lost in the Frozen Tundra against Seattle since 1999, during that span they have five straight wins. 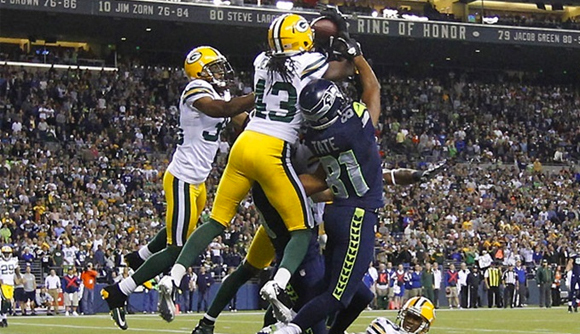 Green Bay is 2-3 SU and 3-2 ATS in the last five against the Seahawks overall. Despite being very early in the season, it is expected a great game and if the Green Bay Packers defense improves against the run they will have a good chance to get the victory at home. Last year, they accepted an average of 119.9 yards per game on the ground. Player to watch: Tight end Jimmy Graham will be one of the favorite targets of QB Russell Wilson this season and he will improve a passing offense that was No. 27 in the regular season, averaging 203.1 yards per game. In three career games against the Packers, Graham has 16 receptions for 191 yards and two touchdowns.